Brandi Cummings joined WTOC-TV in September 2011 as co-anchor of THE News at Daybreak. Brandi joins WTOC-TV as an award-winning journalist from WIS-TV in Columbia, S.C., where she was a reporter, anchor and host. 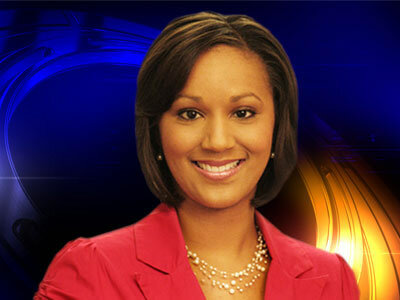 Prior to working at WIS, Brandi was a producer at WRDW in her hometown of Augusta, G.A. Brandi has a Bachelor’s Degree from Clark Atlanta University, where she graduated with honors. In May 2012, Brandi was honored with a Concurrent Resolution from the South Carolina General Assembly for her service to the people in the state. She won the 2nd Place South Carolina Associated Press Broadcasters Award for “Environmental Reporting” in 2011. In her story, Brandi revealed the extreme buildup in the water pipes underneath the city of Columbia. Brandi’s stories have allowed her to interview several influential people including President Barack Obama. In addition to a list of accomplishments, Brandi was featured on the Fall 2011 cover of Midlands Woman Magazine. Brandi is passionate about children and things that affect them. She consistently speaks to young people about the importance of getting an education. You can watch Brandi every morning starting at 4:30 a.m. and each Wednesday on THE News at Six as she reports on the area’s Top Teacher. You can also see her on Thursdays on THE News at Six as she interviews a weekly Hometown Hero.